Home Enlivening What Does Contentment Sound Like? What Does Contentment Sound Like? If you found yourself in a complete state of equanimity and serenity would you be conscious enough to be aware of this peaceful condition in you? 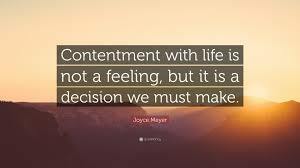 I believe as humans contentment (whatever it means to you) is a disposition we have a true craving for. Temporary contentment is easy to find, it might come all wrapped up in a vacation, or a new car, new coat or pair of shoes, material items most often within a short period of time leave us wanting more despite our best efforts. Contentment which is achieved by the internal examination is everlasting. To master the art of peacefulness one must work through a serious process of deeply emotional, mental and spiritual psychoanalysis. No one will be able to provide you with any shortcuts, there is no fast track or express lane when it comes to the demanding and strenuous effort that is needed to disempower the Ego. A lifetime of beliefs and years of particular behaviours will have to become the focus of your Soul work, don’t look for any manual or instruction guide for the answers to get you to the finish line, there are none. You are however equipped with a toolbox, everything you need to achieve success in your quest for peace is inside of you, polished and pure your intuition has been waiting for this time in your life. Contentment is most definitely worth the toil, exertion and drudgery that will be required of you, nothing good comes easy this is true, but it is work that you can do without a doubt. What does inner peace sound like, this is an easy question to answer, ‘nothing’, it sounds like no single thing? No more noise inside of your head, no more sighs of frustration, no undertones of sadness, unhappiness, or anything unpleasant. Contentment is pure uncontaminated, refined, unpolluted, untainted easiness. When you are at peace you become angelic in a state of spiritual bliss, nothing hurts, there is no pain, no discomfort or animosity. Contentment has no sound, smell or noise, but what you hear is worth more than anything you could ever imagine, to be able to hear the clean and honest voice of your Soul with no anger, resentment, prejudice, malice or bitterness is priceless.